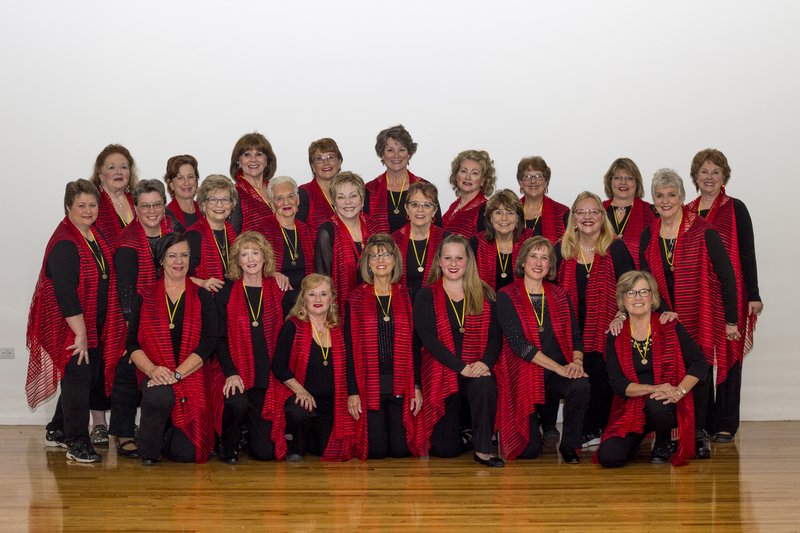 Skyliners, the brainchild of Skyline Chorus Master 700 Director Vickie Maybury, represents Skyline Chorus in performance venues that may be unable to accommodate the full complement of our 140-women chorus. Under the direction of Skyline members Melody Horgan and Brenda Lees, Skyliners brings the joy that IS Skyline Chorus to communities everywhere. Since its inception in 2004, Skyliners has performed for seniors, veterans, the homeless and various charitable organizations throughout the Denver metropolitan area. In fact, in the past 5 years alone, this wonderful group of women has averaged approximately one performance per month! If you have any questions about or would like to book Skyliners for your event, please email Barb. Click here to be taken to the Skyliners Facebook Page.